I will be posting the historians’ answers at this blog throughout the week. The first three historians were Matt Hall (SBC), Sean Lucas (PCA), and Rusty Hawkins (Wesleyan). 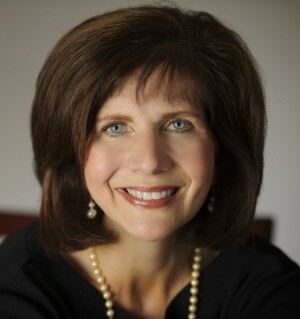 Carolyn Renée Dupont is assistant professor of history at Eastern Kentucky University in Richmond, KY, and the author of the book, Mississippi Praying: Southern White Evangelicals and the Civil Rights Movement, 1945-1975 (NYU Press, 2013). Simply put, any suggestion that the religion of southern whites aided the civil rights struggle grossly perverts the past. While many evangelicals displayed kindness in their personal dealings with blacks, most nonetheless enthusiastically defended a system designed to advantage whites and to correspondingly disadvantage African Americans at every turn. It is true that every major denomination in the United States embraced the Supreme Court’s Brown v Board of Education decision that declared segregated schools unconstitutional. However, the picture looks very different at the local level, where southern evangelicals more often fought ferociously against any effort to dismantle the system of white supremacy. While my research has focused on evangelicals in the state of Mississippi, much of what I learned would apply to other parts of the South. The unique factors of other states or regions might make the landscape somewhat different. Evangelicals resisted black equality in many ways. Some ministers preached an overt biblical sanction for segregation. 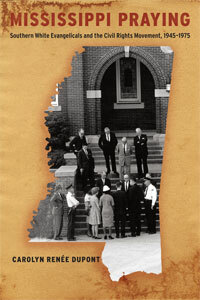 Most preachers took a more oblique approach, remaining silent about the subject of black equality while condemning faith-based civil rights activism as “a prostitution of the church for political purposes.” Most southern Christians did not regard segregation as a sin, and they resented those who criticized their “way of life.” They rejected efforts from their denominations to educate them into more enlightened racial views and frequently withheld funds from agencies in the church who advocated for equality. They sacked pastors who embraced any aspect of the freedom struggle. They formed lay organizations to keep their churches segregated; many individual congregations adopted formal resolutions instructing their deacons to reject black worshippers. When school integration became unavoidable, white evangelicals forsook the public schools in droves in favor of new private schools sponsored by their churches. Your question raises the issue of northern Christians and their responses to the demise of segregation. Because photographs of events like the Selma March feature white ministers, we often assume that northern people of faith actively embraced the movement. This assumption needs investigating. It is true that northern ministers participated in the southern struggle, but they represented the least evangelical and most “liberal” elements in American religion. They came largely from the ranks of the Episcopal, Presbyterian (UPCUSA), Unitarian, Disciples of Christ and Methodist faiths (and from the “liberals” within those faiths), the very branches of American Protestantism that evangelicals have decried for their misguided theology. Furthermore, clerical support for the movement did not necessarily translate to the support of rank-and-file church members. My own preliminary research into the question of northern Christians’ responses to the movement indicates that a deep lay-clerical divide ran through northern congregations when it came to issues of black equality. Some northern ministers encountered serious opposition from their congregations when they advocated for black equality. Evangelical theology itself undermined whites’ ability to constructively engage with the demands of black activists. Generally speaking, the most theologically conservative Christians often opposed the movement for black equality most vigorously. Evangelicalism focused overwhelmingly on regenerating the individual and depicted all social problems as merely the sum of individual problems. Thus, they blamed blacks themselves for failing to equal the standards of whites, and could not grasp how segregated and unfair institutions erected insurmountable obstacles to black aspirations. In evangelical thinking, salvation, not social change, offered the answer to black failures and frustrations. However, the salvation of every person in the entire country could not correct the problems of inferior education, limited economic opportunities, discriminatory legal arrangements, and a host of other systems that rendered black Americans second-class citizens. These entrenched and systemic injustices required change in structures, not in individuals. Finally, the role that religion played in thwarting the civil rights struggle raises important questions about the effectiveness of moral suasion in creating social change. Moral suasion often proves one of the least effective ways to create change. People too easily distort, circumvent, rationalize or dispatched with moral arguments. Individuals with a vested interest in a system—as whites had (and have) in the racial hierarchy—often fail to grasp the evils of that system and will fight mightily to preserve it. And perhaps that is the bottom line: whites have benefitted from America’s racial hierarchy, and it should not really surprise us that white religious traditions have shored up these advantages. Nor should it surprise us that religion did not help pull them down.